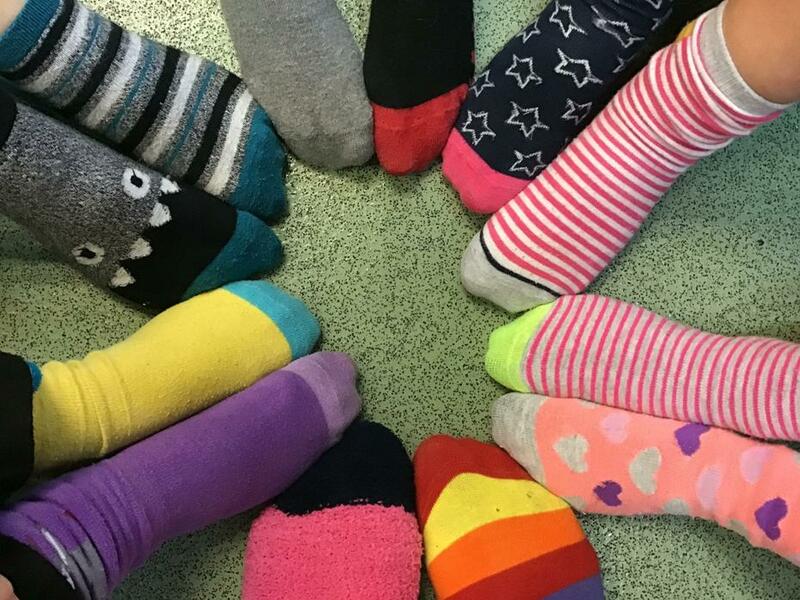 Today all wore lots of socks to celebrate World Down Syndrome Day. 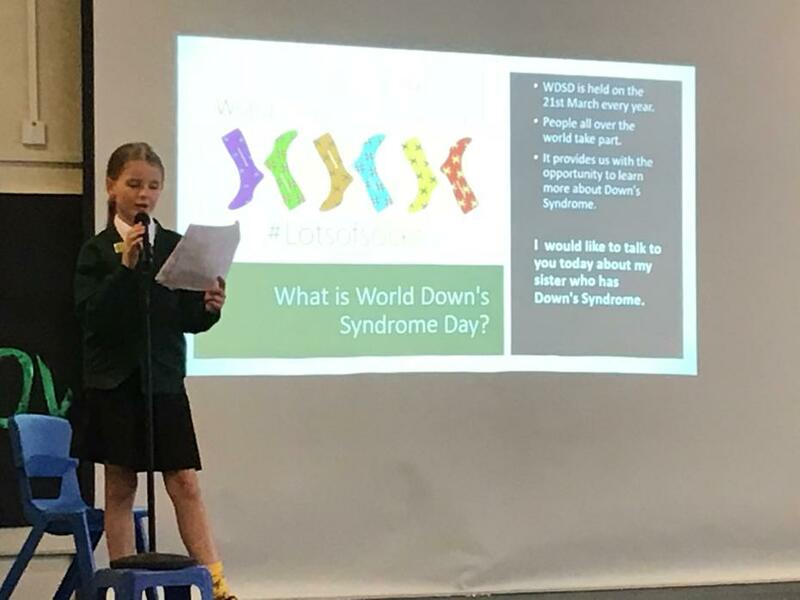 Erin, who is in Year 5, did a special assembly for the whole school to tell us what is like to have a sister who has Down Syndrome. 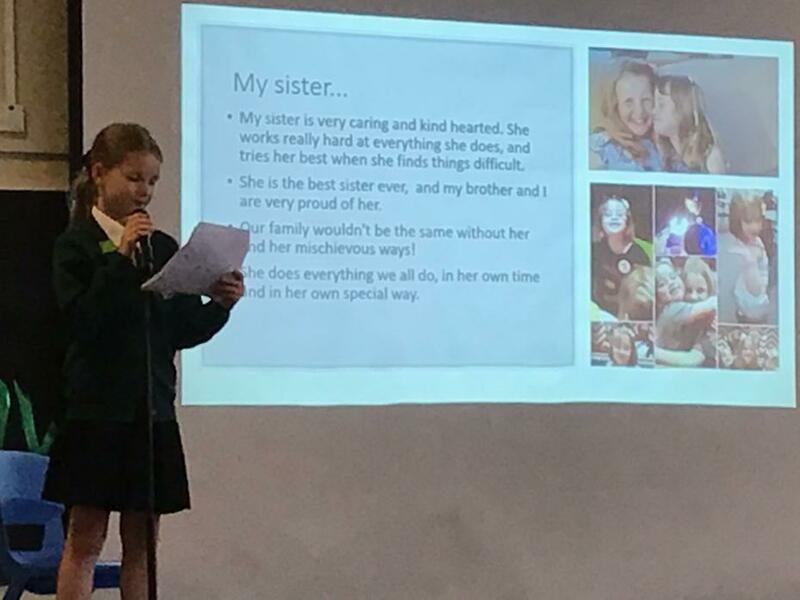 Her main message was that some people need extra time to communicate and do things, and sisters are sisters, no matter what!